Last Thursday we had another great programmer’s meeting where about 25 of us programmers got together to give each other updates about the neighborhood and their organizations. There is a ton of activities going on! Kriterion opened their doors that evening, Route du Nord is making a return, the Water Square is making progress, several student groups are investigating the area for their projects, the Hostel continues to thrive, Roodkapje has a new exhibit, The HUB is looking for a new location in ZoHo, and a new pop-podium is moving into the Hofbogen on Vijverhofstraat. For the walk portion of the evening, we got a sneak-peek at Kriterion in the yellow building only 2 hours before the opening. The group was busy making the final, last-minute preparations. After that, we got a behind-the-scenes tour of BIRD, known to many as the best pop-podium in the city. 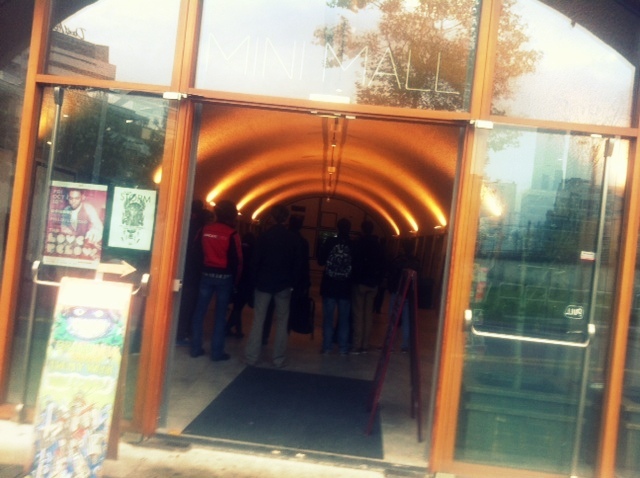 Our guide, Philip, told us about the empty portion of the Minimall, next door, and how it’s been difficult to program that space. Maybe we need a brainstorming session? 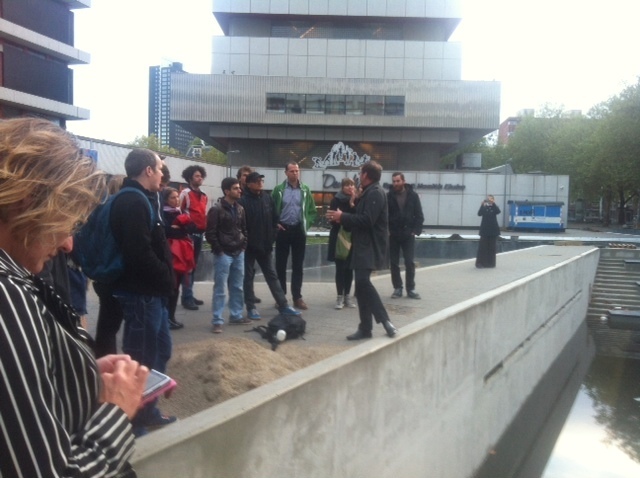 Next we headed to the Water Square, in the Zadkine courtyard. 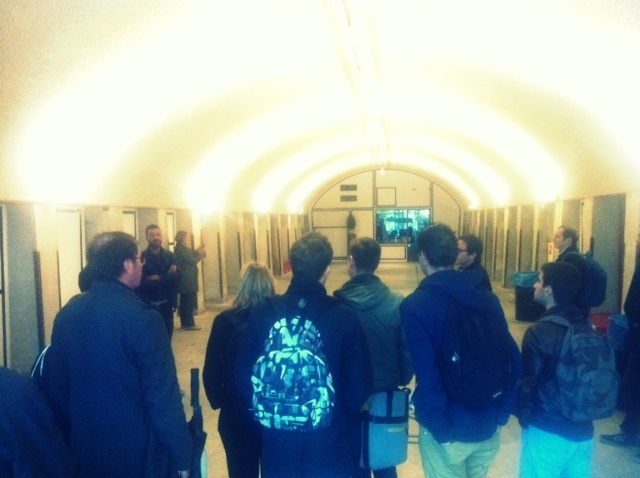 Dirk from De Urbanisten gave us all the details of this über-sustainable square. He also shared with this video, which tells you all you need to know (and more!) about this unbelievable project. We ended our programme at Roodkapje, with Leon. The artist from the new exhibit, Florian Borstlap, lead us through his work for “The Entity of Zoom.” If you get a chance, stop in and check it out–and grab a bite to eat at the fantastic Magetronbar!